Blanes is a unique active tourism destination, becoming the perfect setting to do outdoor sports. 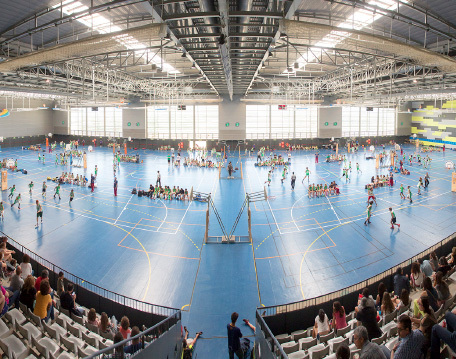 Moreover, people who organise the international races, tournaments and triathlons find here an amazing place to hold sport events. Blanes is specialised in jogging. The city has several focal points for runners, such as Blanes Centre Running which is located at the Sports City and has everything you need to do this sport. There are maps with the best running trails as well as some specific services to runners, such as showers, cloakrooms or a place to clean their trainers after doing sport. Blanes also has several well-signposted routes and seaside paths belonging to the Grans Camins de l’Aigua (from 8 to 18 km) to go running or Nordic walking. There are mountain biking and road cycling routes surrounding the city. Some routes are perfect to go running, walking or Nordic walking. All of them are between 7 and 20 km and they explore the amazing natural beauty of Blanes. There is also a seaside path route along the coast. This is much more than an activity with a bike. It is an indicator of well-being and excellent landscapes. Blanes has taken advantage of the secondary roads and passes of the mountain. For this reason, several cycle routes and maps have been designed to let cyclists enjoy of an amazing landscape. 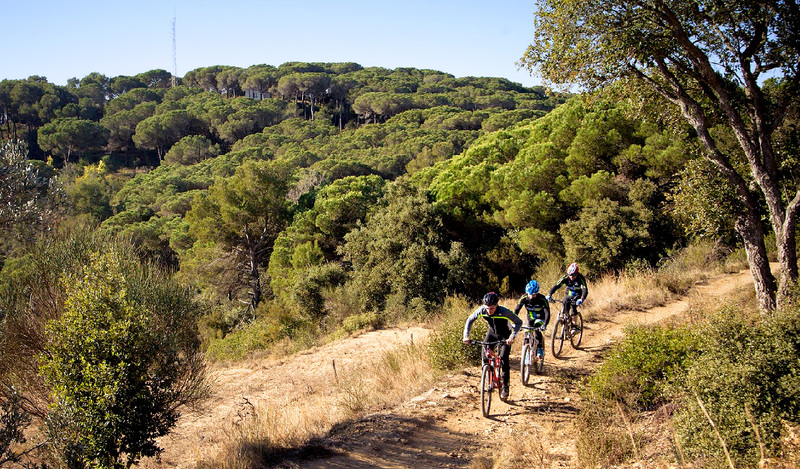 The beginning of this route is pleasant and easy because the road from Blanes to Breda is flat, wide and perfect to pedal slowly while enjoying the landscape of La Selva. Then the path narrows and climbs up to Viladrau. This town, famous for its rivers, is the ideal place to stop and refresh yourself in one of its fountains: Païtides, Or or Capellans, with low mineralisation water. After this break, follow the route to Taradell, at Plana de Vic, and enjoy one of the best views of the Can Boix Castle.To go back to Blanes, you should descend the same route you came up. Firstly, take the state highway to Lloret de Mar. More than 9 km of Costa Brava, with some of the most spectacular coves and beaches. Then go around the coast to Tossa de Mar. You can stop in this city to visit the medieval castle overlooking the city. Go from Tossa to Llagostera. During the journey, you will find a wide road that climbs up to this city of Girona. Once there, you should visit the hermitage of Sant Grau, an amazing building in neo-Romanesque style surrounded by nature. To go back, you should take the road along the coast to Tossa de Mar. This pleasant journey offers wonderful views. This long-distance route is designed to test your physical endurance. It is needed to be in shape to pedal in this irregular road full of up and downs and change of paces. The first stop is Sils. Following the road to Anglès, the route will go along the steep coast to Sant Esteve de Llémena, the starting point of several hiking trails. From Sant Esteve to Planes d’Hostoles. From there, to the valleys of Cogolls and Hostoles, bounded by high cliffs and Puig Rodó volcano. This valley is a part of La Garrotxa Volcanic Zone Natural Park. From Planes you should follow a road to Santa Coloma de Farners. If you keep pedaling, you will arrive in Blanes again. You can enjoy the sea all year round in Blanes.A wide variety of companies specialised in water activities, such as sailing, kayaking, stand up paddle boarding, windsurfing, diving, sport fishing or snorkel are available for all ages. Boat rentals with or without a license. 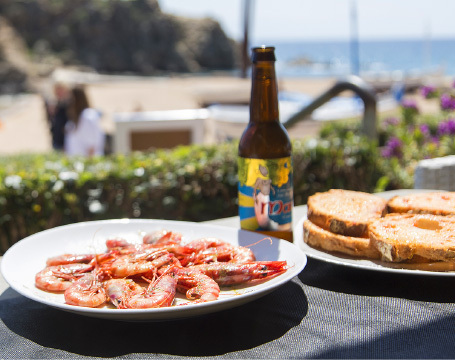 an historic institution founded 70 years ago and called Club de Vela de Blanes. This is a modern space that offers the possibility to do any kind of water sport, with a first-class service. The club also organises international sports events.